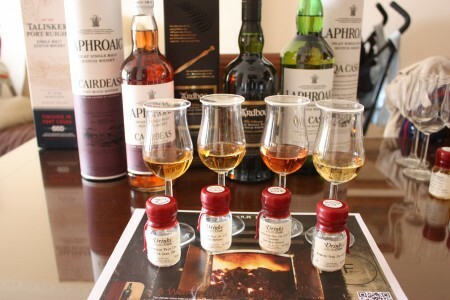 Read stories about Caol Ila of A Wardrobe of Whisky blog. Diageo’s Special Releases are quite an event on the World of Whisky. I really stopped paying attention to them a few years ago, tired of prices going up and up and age of the whiskies down and down… but still… if you have the money and don’t have anything better to do with it they are usually fantastic drams. 2013's unpeated release of Caol Ila is named for distillery manager Billy Stitchell, who is retiring after almost 40 years at the distillery. This year it's been bottled without an age statement and despite being 'unpeated' there's a definite smoky tang to the whisky, although less so than in previous years. Nose (89): more than average. honey, citrus, toffee, spices, vanilla, salt. Palate (91): powerful, oily. honey, salt, citrus, spices, pepper, candies, cinnamon, wood. Finish (90): longer than average. honey, wood, salt. So based on other whiskies I have already tasted I rate this Caol Ila Unpeated / Stitchell Reserve / Bot.2013 Islay Whisky with 90 points over 100. Lovely! I am a peat head but this whisky is fantastic even if there is no trace of peat in it. Make if half the price and it is a good deal. You can’t drink enough Signatory whisky… this Caol Ila almost 30 years old was fantastic but… ooops… let me show you the tasting note first. A sherry cask bottling of 1984 vintage Caol Ila, hand picked by The Whisky Exchange and bottled by Signatory at 29 years of age. Peated whisky from sherry casks can be exceptional, such as this example. Nose (91): more than average. flowers, peat, honey, spices, vanilla, candies. Palate (91): powerful, oily. honey, peat, earth, citrus, spices, floral. Finish (90): longer than average. floral, spices, wood. So based on other whiskies I have already tasted I rate this Caol Ila 1984 / 29 Year Old/ Sherry #2758/ Signatory for TWE Islay Whisky with 91 points over 100. As I was telling you the whisky is fantastic but the price isn’t that interesting. £150 for a 30 years old independent bottle is too much for me… but you have deeper pockets than mine it certainly worth it. My bottle of Laphroaig Cairdeas arrived home and well, as I happen to have several samples of this year Feis Ile 2013 thanks to the chaps of Master of Malt ( thanks to them and to £50 I spent on the samples ) I decided it was time for a proper healthy peat tasting to combat this awful heat wave. In case you don’t know, Feis Ile is Islay�s annual festival of Malt and Music. 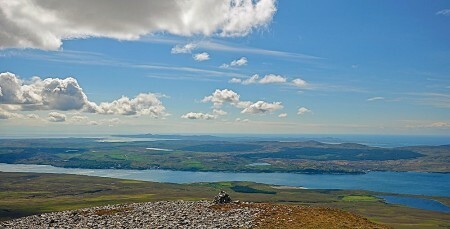 Islay has a long and ancient history of Gaelic music and the last week in May was a time when both island musicians and indeed Gaelic folk musicians from the mainland would gather on the island to play and sing at Ceilidh�s, the Gaelic word for Gatherings. 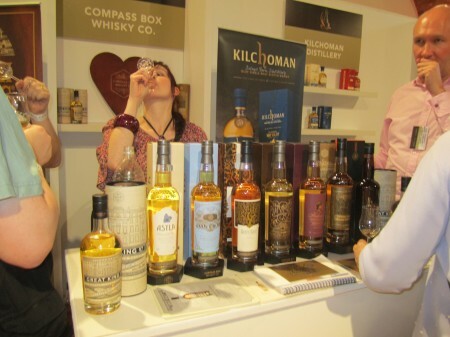 But not all it music, all of the eight Islay Whisky Distilleries join the celebration in what is probably the most famous whisky event in the World calendar. So let’s see some of the whiskies I have taste. Let’s stay from the south and move up. In my quest to empty the samples queue, I have chose today some macho peated whiskies and an Ardmore. I am really excited with the Ardmore because it is my first from this distillery, and I am a big fan of Kilchoman whiskies… so wild and salvage!. I wanted to taste the Lagavulin 21yo against some real whiskies to see how it measure against them. On its own I was quite happy with it, although not happy enough to pay £350 for it. 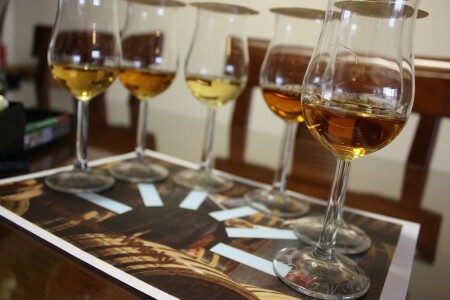 This Whisky Tasting Session was the last event of the 2012. In case you missed previous tasting sessions, WTS are a blind tasting of six whiskies chosen by Jean Marie of Whisky-distilleries.info. 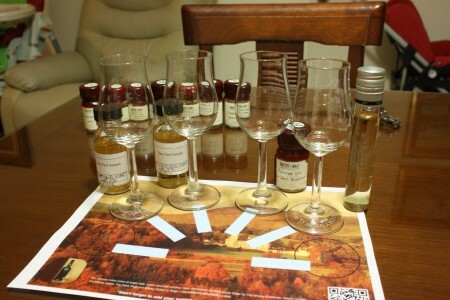 Our task consists on tasting them, rating and find the right price range of the bottle. a) Don’t taste on a rush. b) Don’t trust my skills to guess age of a dram. Jean Marie placed on this tasting some awesome and incredible bottles some of them over 30 years old. So now that I know what I was tasting I will take a bit of time to retaste them and check if the score or the tasting note departs for the previous blind tasting. It would be a huge dissapointment if they do, as I do my best not to score the distillery, the color, the price or the bottle but the whisky for itself. I will keep you updated. 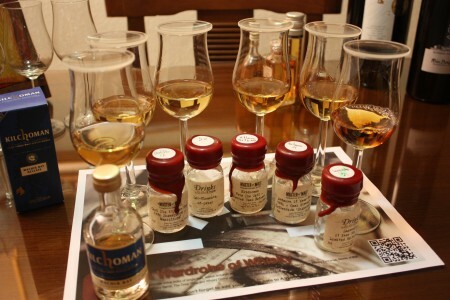 The tasting was interesting but nothing close to sensational, but after filling the tasting notes I realized that I have tasted some very special whiskies: a 38 years old Bunnahabhain, a 35 years old Bunnahabhain and a more than 30 years old Caol Ila. Nose (91): more than average. peat, lemon, honey, salt, fruity. Palate (91): powerful, oily. peat, honey, citrus, salt, earth, chocolate. Finish (91): longer than average. honey, peat, citrus. So based on other whiskies I have already tasted I rate this Caol Ila SMWS 53.171 with 91 points over 100. Extra ageing has calmed the impact of the phenols, with the peat arriving on the palate late, and tempered by smooth oak. A very mellow, mature Islay malt. Nose (89): more than average. peat, salt, vanilla, citrus, spices. Palate (89): smooth, powerful. peat, honey, salt, citrus, floral, spices, pepper, wood. Finish (87): average. peat, honey, citrus. So based on other whiskies I have already tasted I rate this Caol Ila 18 Year Old Islay Single Malt Scotch Whisky with 88 points over 100.